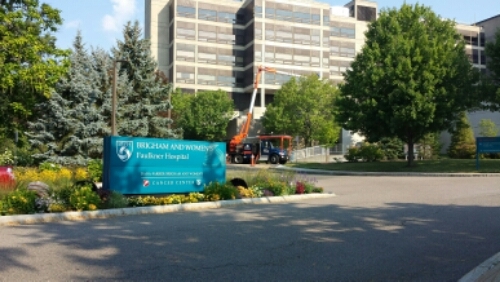 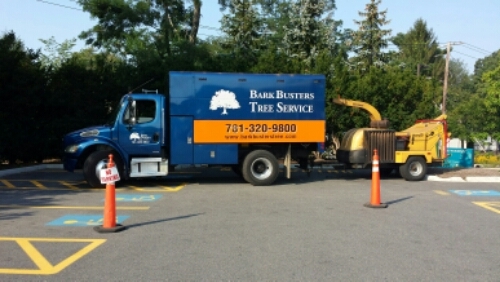 Our skilled Arborist working hard to keep the trees at the Faulkner Hospital healthy, and safe. 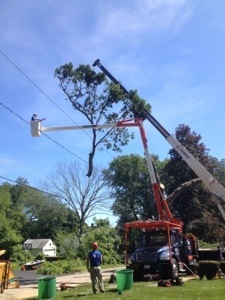 Bark Busters skilled Arborist’s removing a large Red Oak tree surrounded by power lines in Newton, Ma. 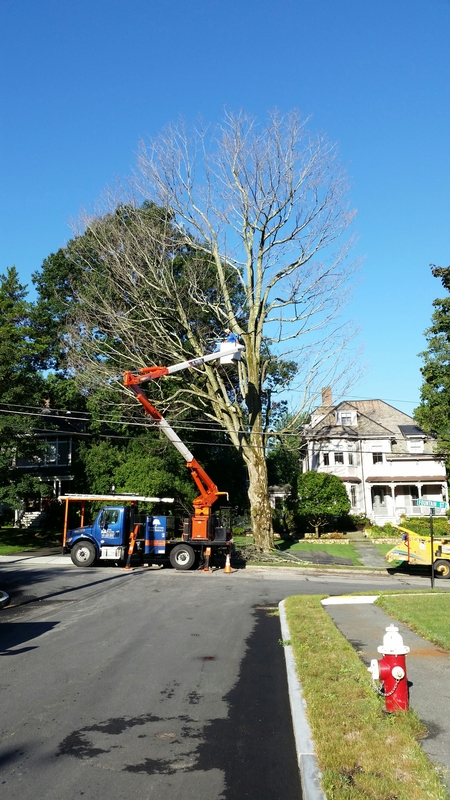 Removal of a large White Oak today in Medway, Ma. 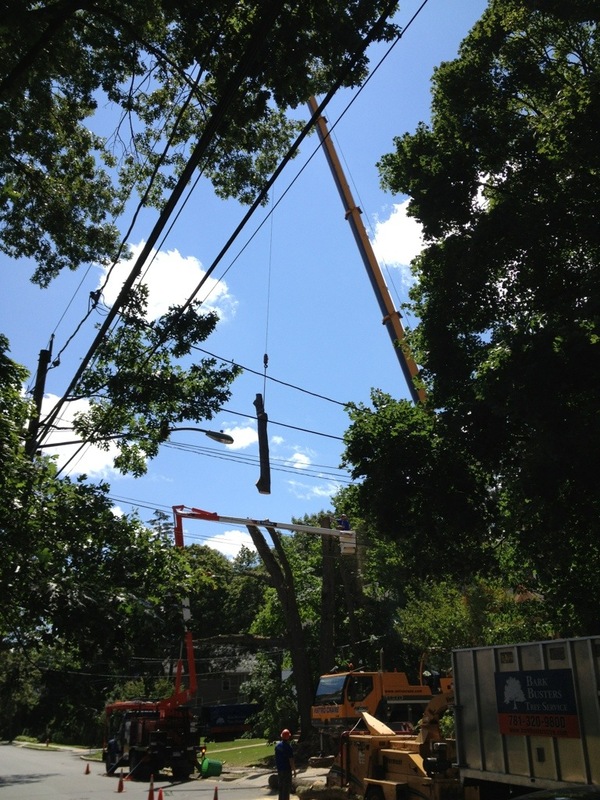 A crane was used to safely remove this tree due to close proximity to high tension power lines.